Winters in Nordic regions are bleak. 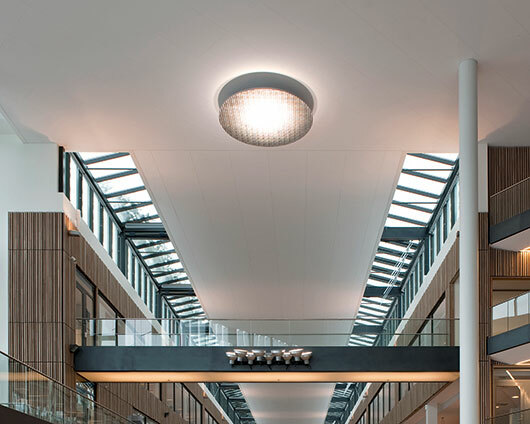 Hence, the Norwegian finance company Storebrand had a particular wish concerning the generously sized atrium at its headquarters in Oslo: a lighting system which emulates the sun. Alongside the compulsory basic lighting, the requested system should create the illusion of sunshine – at least for the short time it takes for users to enter the building and cross the atrium. 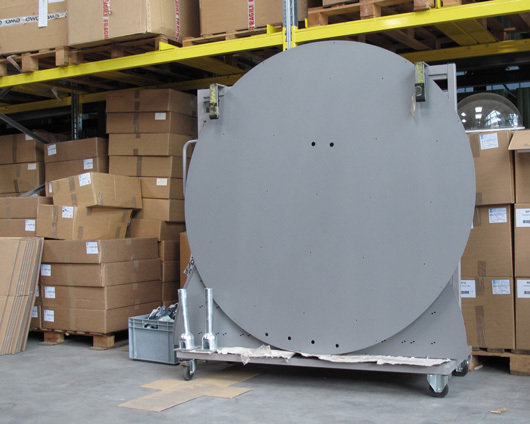 The “sun” developed by ewo has a diameter of 2.5 metres. 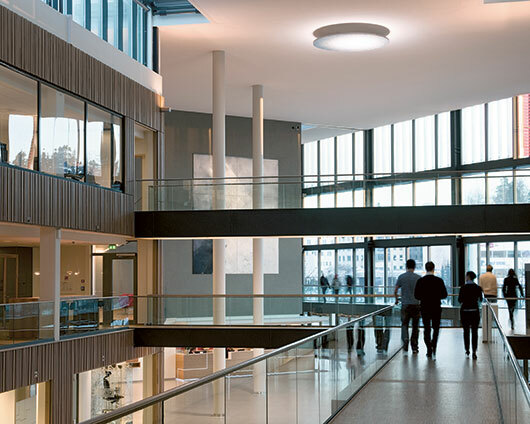 It is based on ewoReflect technology and is illuminated by nine spotlights. In this way, the “sun” does not require its own electrical installation, as only the spotlights which are attached to the upper footbridge need an electricity supply.